Do you need to extend your lease? If you are an owner of a residential flat then at some point you may need to consider extending the term of your Lease. Many leaseholders are finding that their properties are decreasing in value or even becoming unmortgageable, as a number of lenders are refusing to lend on Leases with less than 80 years to run. Even if your Lease has more than 80 years to run it is advisable to extend your Lease as the premium will be substantially lower than when the Lease term hits 79 years or less. The Leasehold Reform, Housing and Urban Development Act 1993 (“the Act”) provides leaseholders with the right to extend their Lease; subject to certain qualifying criteria being met. Under the Act a qualifying Leaseholder has the right to extend their Lease by a further 90 years, with the ground rent reduced to nil. 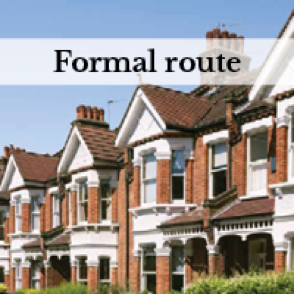 A formal valuation will be required and it will allow us to offer the premium which you will have to pay for the Lease extension as part of the Statutory Notice. We have several surveyors who we work closely with and who specialise in Leasehold Enfranchisement and we will be happy to provide you with a list of Specialists or contact them to obtain quotes on your behalf. 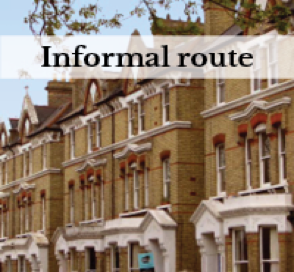 If you do not want to go down the Formal route you can approach your Freeholder informally to see if they are willing to grant a lease extension. However, please be aware that this may not result in the best deal for you. You also need to be aware of unrealistic ground rents which the Freeholder may require you to enter into as part of the ‘deal’. The ground rents increases may seem suitable now, but they can be detrimental in the long run making your property unmortgageable or unsaleable in the future. We have a specialist team with a wealth of experience and we have been advising on this area since the rights first arose 20 years ago. We can provide you with more details about the process and a fee estimate without obligation. Please contact one of our team who will be happy to assist you and make the process as seamless and stress free as possible. Lisa Osborne – Paralegal in the Enfranchisement, Lease Extensions and the Right to Manage Team.